Gulf Craft is a major manufacturer of luxury yachts and leisure boats. It operates two well-equipped service centres in the Emirates. Impeccable track-record is a standard feature at Gulf Craft and the Gulf Craft Service Centre is no different. Reputation and experience are usually the first things that come to mind when your boat needs work. At the Gulf Craft Service Centre, we draw on more than 35 years experience to bring a full range of maintenance and refit services. With two sites catering to 70’ and below, the other to 70’ and above, you are in the best hands. Routine work is carried out at the dedicated service centre to provide a fast efficient service. Our quality of work is based on our design and manufacturing skills that we have acquired over the years. By using state-of-the-art technology and machinery available with the expertise of nearly 1,500 skilled staff, we can create the most cost-effective solution to your requests. 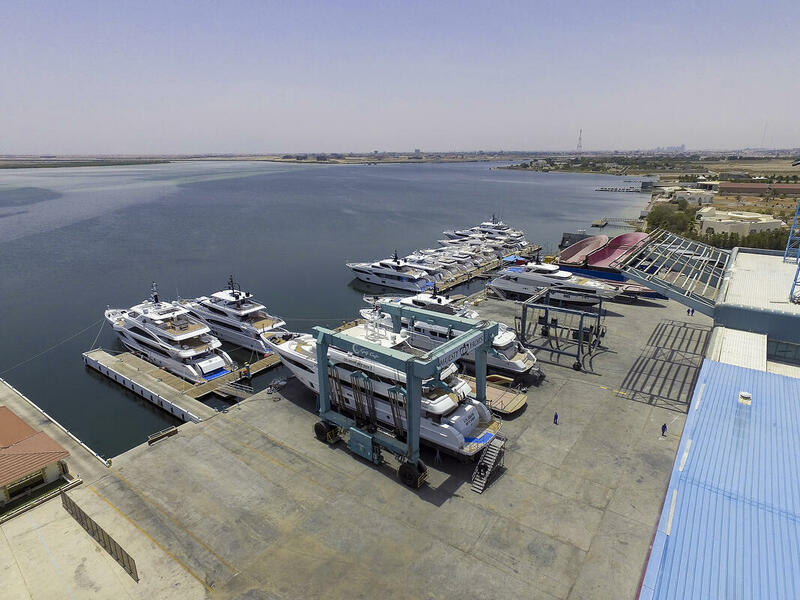 Gulf Craft currently has 2 travel lifts at its Umm Al Quwain facility and 1 travel lift at its Ajman facility. With a capacity to lift yachts and boats of up to 500 GT, we are able to accommodate a wide range of models whether it is for a major refit or a simple anti-fouling. Whether you are looking for an item that belongs to your beloved Gulf Craft or for any other boat, we offer a variety of spare parts to meet your preferences. Supplying to wholesale and retail stores is also part of our portfolio.